Cathy Harris, a former Senior Inspector for the U.S. Customs Service (USCS) at Hartsfield-Jackson International Airport in Atlanta, disclosed to the media the USCS practice of discriminatory racial profiling. 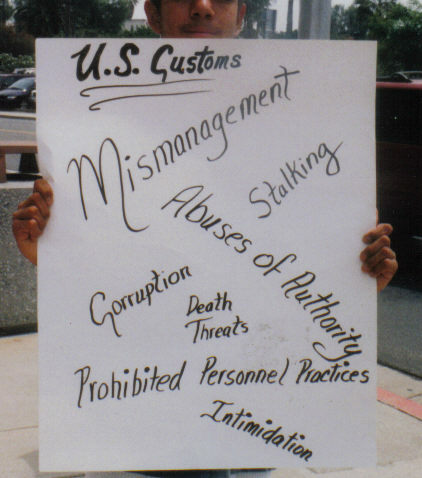 Before embarking on a speaking and writing career, Cathy was a Customs Inspector for over 20 years with Customs and Border Protection, where she was instrumental in alleviating the stress and trauma in international traveling as a 'federal whistleblower' (TheCathyHarrisStory.com), where she was also a part of the "American Whistleblower Tour." 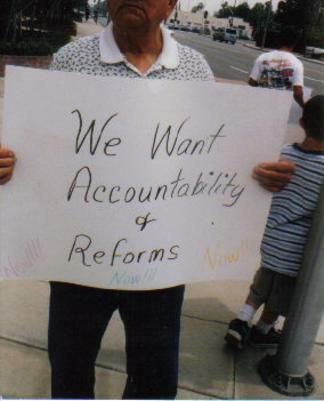 Cathy Harris formed Customs Employees Against Discrimination Assn. 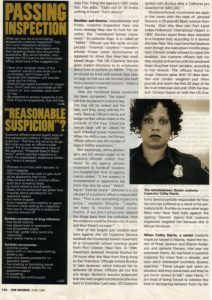 (CEADA) and verified her suspicions that women of African descent were wrongfully targeted for detentions and strip-searches as possible drug couriers. Cathy's revelations resulted in a damning U.S. Government Accountability Office (GAO) study of USCS profiling practices and the introduction of federal legislation “Civil Rights for International Traveler’s Act” and “Reasonable Search Standards Act” to reform these unconstitutional practices. 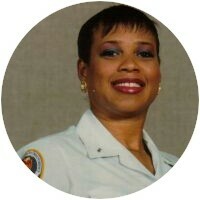 Cathy's story (TheCathyHarrisStory.com) was highlighted in these media entities: Oprah Oxygen Cable Company, Lifetime T.V. with Erin Brockovich, BET with Tavis Smiley, The Bev Smith Show on American Urban Radio Network, The Joe Madison Show, The Carl Nelson Show, CNN, C-Span, Huff Post Live, Essence Magazine, Jet Magazine, Ebony Magazine, Black Enterprise, Source Magazine, Upscale Magazine, Glamour Magazine, Final Call Newspapers, High Times, Rolling Out, Publishers Weekly, USA Today, Associated Press, New York Times, Washington Post, Washington Times, Los Angeles Times, Miami Times, Oakland Tribune, Associated Press, Caribbean Express, African Quest, Mundo Hispanico, Muslim American Society - just to name a few. Cathy Harris is a Watch-worthy Whistleblower -- a female to reckon with...Glamour magazine salutes women who've risked it all to do what they knew were right. Failure was not, is not an option for Cathy Harris. The ordinary woman have gone ahead through an uncharted wilderness and cleared a path for others to follow. She is a visionary, and most importantly, she is just like you and me. Cathy Harris Speech at 2017 "First Annual Virtual Black Women's Shero Summit"
May 2014 - Received 2014 Baldwin Award from ACLU Boston. 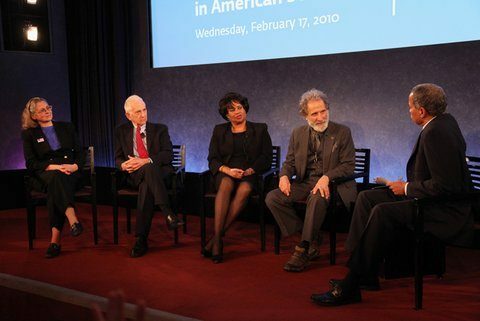 Feb. 2010 - Recognized by Government Accountability Project (GAP), Participant Media, and The Paley Center for Media as a "Legacy Whistleblower." Jun. 2005 - Certificate and Award from the Southern Regional Representative of the Nation of Islam. Sep. 2004 - Received "Whistle Award" from the "No Fear Institute." Mar. 2004 - Unwrapped WAOK Radio Image Award - Nominated for Unwrapped "Woman of the Year" for her community service from Atlanta, GA.
Aug. 2001 - Awarded a Humanitarian Award from "Hudson/Harris" Family. Mar. 2000 - Awarded a "Resolution" by the Georgia House of Representatives for her whistleblowing activities. Oct. 1999 - Cathy's story won the "Peabody Award" for Fox 5 Atlanta. Jun. 1999 - Recognized by Source Magazine as "One of the Most Honest Voices in America." Mar. 1999 - Nominated "Mother of the Year" by Fernwood United Methodist Church, Chicago, IL. Mar. 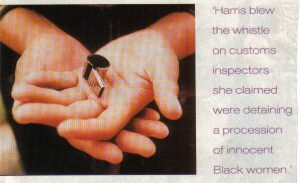 2002 - Presented with the Trailblazer Award from the Atlanta Caribbean Community for her whistleblowing activities. 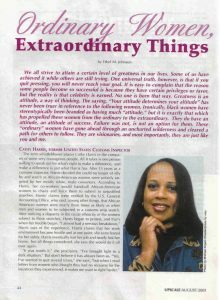 Aug. 2001 - Recognized by Upscale Magazine as an "Ordinary Woman Doing Extraordinary Things." Feb. 2001 - Honored by Essence Magazine for "Defending the Rights of Women Who Travel Internationally. 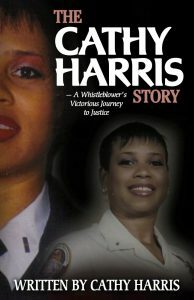 Cathy Harris is a nationally recognized whistleblower and is part of the American Whistleblower Tour. Courage is that rare trait that requires the unusual strength to do what is right - not what is popular in the face of personal harm and at great risk. Susan B. Anthony had the courage to guide thousands of women through that era of U.S. history when women were treated as second-class citizens despite the threats to her personal safety. Her leadership and courage led to the rights for women to have the right to vote. Speaking truth to power and challenging a government infrastructure that thrives on the ignorance and fear of the people require uncommon courage. That same spirit of determination, courage, and conviction are what keep and sustain Cathy Harris as a modern day suffragist for human rights. Cathy Harris has fought and continues to fight for the rights of international travelers, many of whom are African American women, who have been abused and violated by the U.S. Customs and Border Protection (CBP) employees and other federal agencies. Like Susan B. Anthony and Harriet Tubman, Cathy has been despised and persecuted for her ideas and her advocacy. 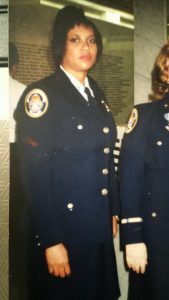 As a U.S. Senior Customs Inspector/Officer, she was threatened by management, unjustly disciplined and ostracized by her peers. 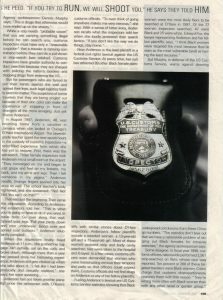 In 1998, Cathy Harris was instrumental in exposing the racial profiling practices of Customs and Border Protection to Congress and to the public. 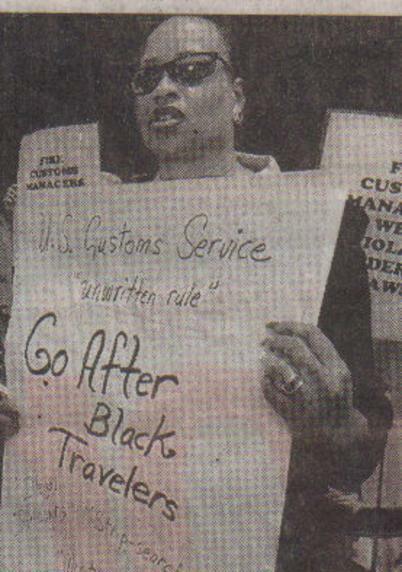 She exposed the blatant bigotry and racism enforced by the U.S. Customs Service. She verified her suspicions that African American women were wrongfully targeted for detentions and strip searches as possible drug couriers. She reported illegal, demoralizing and abusive pat-downs, intrusive strip-searches, cavity searches, x-ray examinations, monitored defecation, prolonged detentions of up to 4 days and targeted intimidation by drug sniffing dogs against African American women international travelers. Cathy's revelations resulted in a damning U.S. Government Accountability Office (GAO) study of USCS profiling practices, and the introduction of federal legislation to reform these unconstitutional practices -"Civil Rights and International Travelers Act" and the "Reasonable Search Standards Act." The legislation would ensure that international travelers have more legal protections and stronger avenues of recourse if abused by U.S. Customs officials. In the Federal Government too often those who work for the government are the public's first hope of being protected from practices that harm or violate the rights of - we the citizens. Government entities do whatever they can to discredit people of conscious like Cathy Harris who speak out against unethical and immoral practices. Cathy has since retired but is still at the forefront of challenging the practices of CBP.gov through her empowerment company. Her ultimate goal is to form "Citizen Review Boards" to monitor the Department of Homeland Security (DHS.gov). I wrote this book to inspire and encourage other trailblazers facing crossroads in their lives to listen to their hearts - do what's right - stand up for justice. Not only will other lives be enriched, so too, will your own. 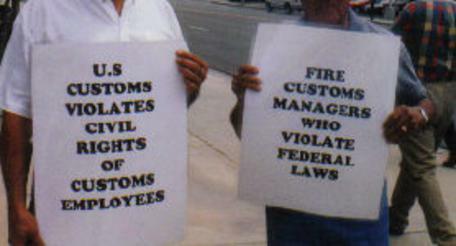 My fight with U.S. Customs and Border Protection (CBP) was long, hard and fierce. But I was sent angels. I was sent angels in the form of Whistleblower and EEO attorneys, legislators, media entities, civil rights leaders, community activists and advocates. I remembered what my parents had instilled in me about being respectful and doing the right thing and telling the truth. Knowing my life would change forever and realizing my decision would affect my family, impact my livelihood and derail my career, I was ready to risk it all to make a difference. I could no longer sit idly by watching the atrocities and injustices being committed against the American public. I knew it was time to "make a stand!" In October 1998, I made a "life-altering" decision. I became a Federal Whistleblower (Truth-Teller). PICTURE THIS: You've worked hard and decide to reward yourself with a trip to a sunny destination beyond America's shores. At the end of your wonderful vacation, you board the plane for your return trip home. You arrive at the airport but instead of making your way quickly and routinely through U.S Customs and Border Protection, you find yourself being subjected to an abusive pat-down, intrusive strip-search, x-rayed, probed internally, fed a laxative and handcuffed to a hospital bed for up to 4 days. If you are an African American, especially an African American female, this scenario, it turns out, was all too likely. After witnessing first-hand this type of denigration against African American travelers particularly women and successfully putting reforms in place to protect them, I realized there was something even more sinister about to happen to the American people. 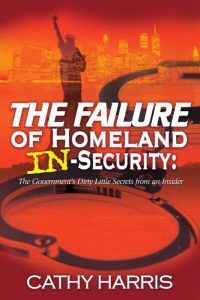 In March 2003, the Department of Homeland Security (DHS) merged 22 federal agencies together totalling over 180,000 employees including my agency, U.S. Customs and Border Protection. Over 73,400 of these employees were armed making this new department the MOST MASSIVE ARMED department ever in the history of the government. Under the new department, they operated with excessive secrecy. Excessive secrecy could be just as dangerous as a terrorist coming into the country, so I set out to continue to inform the public about the new practices in the new department. I realized that unless there were some type of oversight put into place - such as Citizen Review Boards - that United States Customs and Border Protection Officers would eventually go back to their old ways of singling out certain individuals such as African American international travelers and certain Department of Homeland Security employees who were speaking out against any and all types of injustices. Because of the new department, I set out on another journey to educate the American people. This book will make you aware of the extent of racial and sexual profiling - the blatant mismanagement, abuses of authority, prohibited personnel practices, corruption, and other unethical practices carried out by federal law enforcement officials and what is being done to combat it and how current attempts at reforms and legislation don't go far enough. I will continue to fight for the rights of international travelers passing through U.S. Customs under the Department of Homeland Security and other federal employees. This is a fight none of us can afford to lose. -The entire Personal Search Handbook was rewritten several times. -Two bills were introduced to protect international travelers "The Reasonable Search Standards Act" by Senator Richard Durbin (D-IL) in 1999 & 2001 and the "Civil Rights for International Travelers Act" by Congressman John Lewis (D-GA) in 1999 & 2001. New and updated brochures, signs, and other informational material, including the Customs declaration, were rewritten and reproduced. -The decision to conduct a personal search of a passenger must now be decided by a GS-12 supervisor rather than a non-supervisory Inspector, including new Customs Inspectors. -The Customs managers at the GS-14 or GS-15 levels must now approve x-ray examinations of all passengers. -If a personal search of an individual lasts longer than two hours, a Customs supervisor will make a phone call to a person of the passenger's choice to tell them they are being delayed in Customs. -Customs now requires that all secondary data collections include "race." -CBP Officers are now wearing name tags so they can be easily identified for complaint letters and body scan machines can now take the place of pat-down inspections, but they are showing private parts so women should scan women. -Urge the Senate and Congress to take immediate action, order GAO.gov investigations and conduct hearings into the internal practices of CBP and DHS, especially the new harsh Tables of Offenses under DHS. -Urge legislators to hire sociologists and psychologists to study the personal search procedures as suggested by the June 2000 Independent Panel Report. 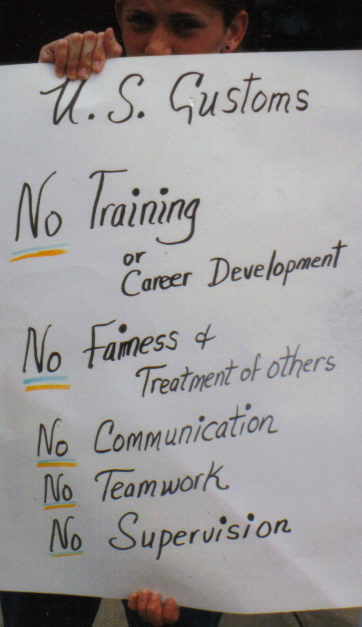 -Urge legislators to hire outside contract workers to give MANDATORY training (integrity, sensitivity, cultural diversity, EEO/sexual harassment, etc.) as suggested by the June 2000 Independent Panel Report. -Ensure minority female supervisors (front-line/first-line GS-12s) are recruited nationally. -Review new body scanner machines which are showing the private parts of travelers. Make sure only women CBP Officers scan women. -Ensure that the two-hour rule is enforced, giving travelers the right to contact a person of their choosing after they have been escorted into CBP search rooms. -Form an independent panel to delete OUTDATED and illegal records (blacklists) from government computers. -Rehire or compensate all former Customs employees (over 100 whistleblowers and others) that were terminated under the reign of the former Customs Commissioner Raymond Kelly aka "The Hackett Man. "Kelly gave orders in a high-level management meeting in headquarters to go after anyone who files an Equal Employment Opportunity (EEOC.gov) workplace complaint. Their names were placed on an internal "blacklist" and no matter where they transferred within the agency or to other agencies, this information would follow them throughout their careers. Cathy Harris is a Watchworthy Whistleblower -- a female to reckon with...Glamour magazine salutes women who've risked it all to do what they knew were right. Ms. Harris' actions directly led to changes and as a result, every air traveler in America is safer in the knowledge that he or she is less likely to be an innocent victim of America's war on drugs. The members of this body commend Ms. Cathy Harris and respectfully urge her commendation. 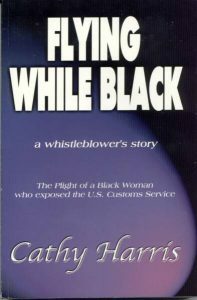 Harris, who is African-American, is one of the loudest whistleblowers in the U.S. Customs Service. Atlanta's Whistleblower Cathy Harris is a modern-day Rosa Parks. Harris’ story is compelling because she is the rare exception – a whistleblower that made a difference. Many can learn from her, so they can stand a better chance of demonstrating courage without martyrdom. Cathy Harris is an ordinary person with extraordinary courage and hope. She is a courageous resister seeking a better world. There is a real common ground between EEO reprisal victims and whistleblower reprisal victims. Very frequently the issues are overlapping. Ms. Harris was both a discrimination complainant and whistleblower, who stood up and challenged both systems and successfully educated the American public. Cathy Harris whistleblowing activities brought light to a grave situation. 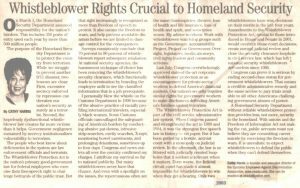 She should be commended and Congress needs to prove it is serious by ending second-class status for government whistleblowers. Cathy Harris is an individual whose creativity, unbridled talent, ingenuity, strong sense of justice and profound thought is helping others to transcend boundaries and create options. 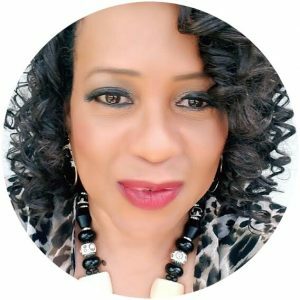 She is a woman who is in the business of uplifting and empowering her community. Ms. Harris is very candid about her life experiences, and she is definitely not afraid to walk the walk. This book provides a gripping account of incidents and gives suggestions on what you can do should you become the target of unscrupulous search policies. Ms. Harris' book is well-researched. She had the strength to take a stand against a large bureaucracy and because of her actions, she will surely go down in history. Cathy Harris has taken her stories to Congress, public forums, TV talk shows, radio and newspapers. This book is an insider's look at racism at the Customs and Border Protection and Harris doesn't hold back on anything. There is a wealth of information and I found the book to be an educational and a well-written book. You will definitely not be bored! Ms. Harris' book is an eye-opener on a significant scale. I have unequivocal faith that the content is true. She was thorough in her research information and the presentation of it. The education that she provides is invaluable. Her reports have forever altered how I feel about international traveling. - Sandra Renee Hicks, Freelance Writer, Washington, D.C.
Torturous abuse was not limited to Saddam’s dungeons! Harris’s book will expose ugly acts of racial profiling all over the U.S.
Cathy Harris brought light to a dark situation. Even though she wanted to quit many times, she just couldn’t after hearing the stories of other women who thought they had no recourse. Her book will continue to educate many for years to come. All voyagers – planes, trains, and automobiles must read Cathy’s book. The statistics that she gathered are not printed for your skimming pleasure. She put her life on the line! Kudos…to Cathy for being such a devoted watch-woman. Harris’s whistleblowing ignited a flurry of news articles and T.V. features on airport profiling. Her book exposes how she put her life on the line and suffered mightily for her actions. Cathy Harris brought her fight to Chicago! As a result of her crusading to different cities, she wrote a book that will protect international travelers and employees. Black women were handcuffed to beds and laxatives were poured down their throats. Investigations found all of Ms. Harris’s allegations to be credible. Her book outlines every step travelers must take to prevent themselves from becoming a victim of racial profiling. Unless the Customs and Border Protection is continuously monitored, nothing will stop them from going back to their old ways. Ms. Harris’ book is essential to understanding your rights when you travel out of this country. 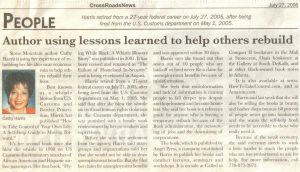 A hundred years ago, when slavery was still the law of the land in the south, free blacks were forced to carry travel papers everywhere they went in the U.S. Ms. Harris’ book has done a great job exposing egregious practices and now people need to carry her book just like travel papers in the past. A “Rocky Horror Show” is what awaits, not only selected Black and Hispanic travelers, but also African Americans working for the U.S. Customs and Border Protection who don’t want to go along with the harassment of people of color. Cathy Harris’ book expose the dangers of "Traveling While Black." The Miami Herald found dozens of examples in which Customs employees at all levels either kept their jobs and pay grades or were promoted after such misdeeds as sleeping with a paid informants, skimming seized cash, and even sexually assaulting female subordinates. I am sure Cathy Harris was truthful in the information she provided in her book. The stories I heard from hundreds of women were nothing short of “sexual abuse.” Even though the historic lawsuit was finally settled, the only educational tool for the American public in the future will be Cathy Harris' book. If you are Black, the next time you are coming back home from abroad, especially from the Caribbean or Africa, think about Cathy Harris. In order to keep from being abused by Customs, everyone should carry her book on them like a passport. 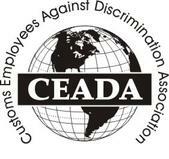 Sexual harassment, threats of physical violence and other acts of intimidation are tactics usually associated with ruthless criminals or dictators – but they were also used against good, hard working, honest Customs employees and international travelers. Cathy’s book will be a major eye-opener for many. Black women are independently free enough to fly all over the world, and they should not have to be disrespected by Customs agents that are intimidated by their newfound freedom. The working conditions in the Customs Service were nothing short of “Modern Day Slavery.” A hostile work environment is not the word for it. It’s worse…it was like working for back woods bigots…But the education that Cathy Harris’s book provides is invaluable. Internal Affairs were in cahoots with management! Not only do they conjure up bogus charges against employees who file EEO complaints, but they monitor them both on and off the job. Cathy’s book will educate the American public on why the entire federal EEOC system must be revamped.